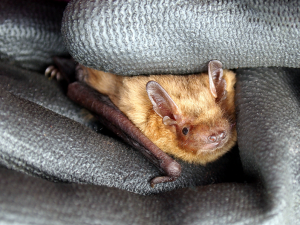 On a bright September morning, BrumBats came in to survey the bat boxes of Martineau Gardens. They were looking for evidence of bats roosting and collecting data about age and species. 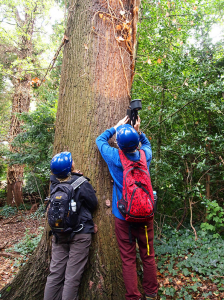 In woodland that’s carefully managed, as Martineau Gardens is, there are of course plenty of natural places for bats to roost, so there was a certain amount of excitement and trepidation as to whether they would actually find a bat roosting. Morgan Bowers (our former Biodiversity Officer) put the bat boxes up seven years ago: the boxes have remained undisturbed since then. Bats are protected by law – you need to hold a license (as Morgan does) to inspect a bat box and handle bats. 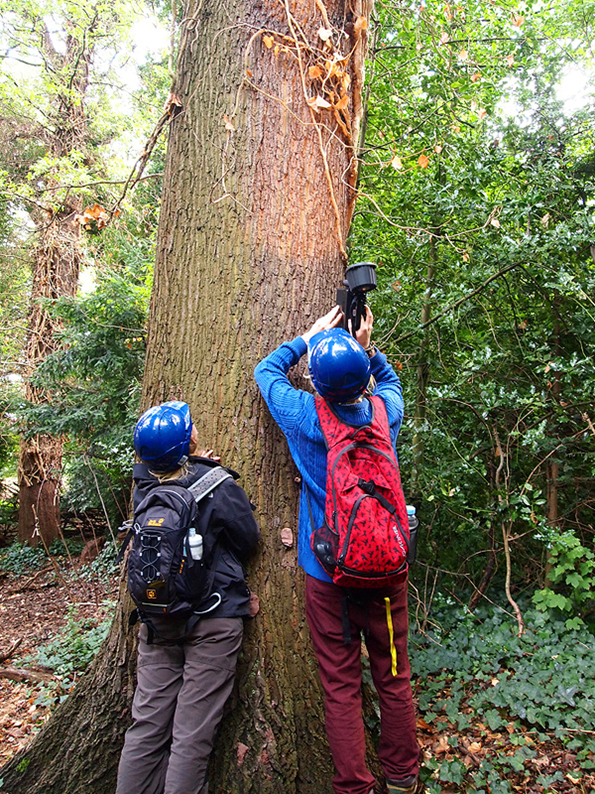 Morgan was accompanied by two trainee Bat Surveyors, Rachel and Sam. Morgan and the team examined 20 bat boxes but it was not until the final three were inspected that they found what they were looking for. To our joy and surprise, four bats were found in the most surprising of places. Seven years ago, three bat boxes were located high up on the mast of the ‘shipwreck’, more as a talking to raise awareness with visitors rather than a place for bats to roost. Bats prefer shaded, protected areas. One sleeping bat was carefully lifted from the box, inspected, weighed and its species identified. Morgan has been able to confirm that this is a female, Soprano pipistrelle bat, that has raised a baby bat (pup) this year. Though one of the UK’s most common bats, they are a protected species and their population is in decline. We’re very glad that the bats continue to find a home at Martineau Gardens, just 2 miles from the city centre. Do you have a bat box? Did you know: a single pipsitrelle can eat up to 3,000 insects per night! Baby bats are called “pups”. The females usually give birth to just one baby a year (occasionally twins). Soprano pipistrelles are so called because they echolocate higher than common pipistrelles. Echolation – A sensory system in certain animals, such as bats and dolphins, in which usually high-pitched sounds are emitted and their echoes interpreted to determine the direction and distance of objects.